European multinationals are driving much of the early offshore wind activity on the East Coast. When the plan for Cape Wind, America's first proposed offshore wind farm, was first unveiled in 2001, the offshore market didn't exist. There were only a handful of megawatts scattered around the shallow waters of the North Sea and the Baltic Sea. But over the next decade and a half, as Cape Wind was mired in a complicated NIMBY war, the Europeans got serious about putting wind turbines in the water. Today, Europe is home to nearly 13,000 megawatts of offshore wind projects across 10 countries, with 3,589 individual turbines connected to the grid. With the commissioning of the Block Island Wind Farm last summer, America now has five commercial turbines connected to the grid. Those machines were manufactured in Europe, and installed with help from engineers and construction workers from numerous European countries. Today, having learned lessons from Cape Wind about community engagement, making permitting processes more efficient, and siting projects farther away from shore, state policymakers and developers are preparing for a second round of activity on the East Coast. And the Europeans, flush with years of experience on their home turf, are paying close attention. "Fast-forward a few years later -- what we are seeing is enormous companies with a huge track record of development in Europe moving into the offshore wind market," said Alicia Barton, the co-chair of the cleantech practice at Foley Hoag, speaking on GTM's Interchange podcast. "They are really promising to bring...their engineering and construction expertise." And because many of them are some of the largest companies in the world -- Dong Energy, Statoil and Siemens being a few examples -- they also bring a lower cost of capital. Copenhagen Infrastructure Partners (CIP), a group that manages $3.2 billion in assets and invests on behalf of 21 institutional investors, is one of the European firms eyeing the U.S. market. In August of last year, CIP acquired OffshoreMW, an American developer with a lease area 14 miles off the coast of Martha's Vineyard, Massachusetts. The company, now called Vineyard Wind, is leveraging a team of experts from CIP who have worked on the development, construction and operation of 15 offshore wind projects in Europe. With permitting and geological surveys now underway, Vineyard Wind is preparing for the first round of auctions this year as part of Massachusetts' new 1,600-megawatt offshore wind target. "We are here for a market," said Lars Pedersen, co-CEO of Copenhagen Offshore Partners, the development arm of CIP. "We are not here for one project. We are here because we think there's a market coming up, and we'll likely start to see tough competition." Barton said she expects upcoming auctions in Massachusetts to "get a lot of attention" internationally. "The contracts...will send a strong signal as to whether these are projects that can be competitive in the United States' energy market. We don't know for sure where those prices will come in, but we're talking about large enough projects and credible enough players," said Barton. 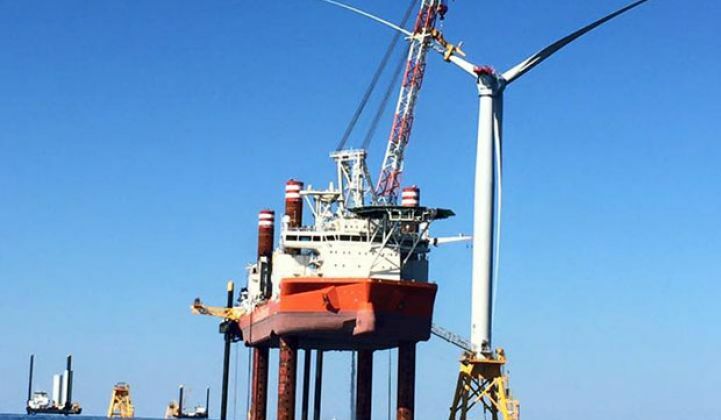 When Barton served as CEO of the Massachusetts Clean Energy Center, the state invested in a marine terminal to support offshore wind projects and a wind-blade testing center to attract more technology companies. However, when the Cape Wind project finally fell through, officials scrambled to find other companies to take over the terminal lease. Some questioned why Massachusetts would invest over $100 million in a terminal without a guarantee of offshore wind activity. Activity finally seems to be picking up. In September, Dong Energy, Deepwater Wind and Vineyard Wind -- all European companies or developers with European ties -- announced their intent to use the New Bedford terminal if and when construction activity commences in their respective lease areas. "Massachusetts has tried to de-risk the market. They appreciated that no one project would ever be able to support the level of investment needed. So they took a long-range view and invested in a port, because we know offshore wind is going to come -- it is coming," said Erich Stephens, CEO of Vineyard Wind. There are still plenty of risks that European developers must grapple with in the U.S market. Local opposition, limited supporting infrastructure, and no requirements for offtaker agreements are a few. In Denmark, for example, the government appoints sites, performs all the permitting and grid connection work, and then holds auctions. "Everything is shovel-ready -- you just need to get started," said Pedersen. In America, individual developers bear much more of the risk. As a result, project prices in Europe are coming in at record-low prices. In the U.K., new contracts are being signed for $125 per megawatt-hour, a milestone that was expected for 2020. Bids elsewhere are coming in lower. 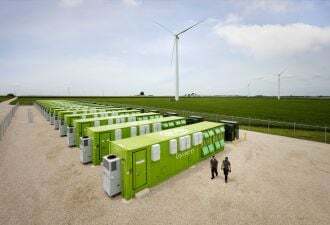 "There were recent tenders in the last few months, both in Denmark and the Netherlands, where you saw, to many people's surprise, prices come in in the $50 to $60 per megawatt-hour price range," said Barton. "I think really reinforces the notion that we can replay that movie we saw in solar if we do the things we need to do to get it right." There are still a lot of pieces that need to come together. And it will be years until steel hits the water. But CIP's Pedersen believes that the American market will materialize. "The fundamentals are right. We definitely see this as one of the booming areas. We were quick in deciding that we want to see this opportunity in the U.S."
Listen to our interview below with Alicia Barton on The Interchange podcast. Guess what? The Interchange is now free for everybody. Subscribe on iTunes, Stitcher Radio or SoundCloud, or simply cut and paste our RSS feed into the podcast player of your choice.